Cool your engines, everybody; it seems that Iain Duncan Smith was never going to the Work and Pensions Committee meeting in June, despite what we had all been led to believe. This morning I received a message from Jayne Linney, one of the authors of the petition to make LieDS account for himself before the Parliamentary Committee. It said that, in fact, he never was going to attend the committee in June/July: “This is an evidence-gathering meeting only. IDS is to attend the follow up Q&A session on September 4 when we are also submitting the petition. This information supercedes the notice on Jayne and Debbie Sayers’ petition website that states, “Iain Duncan Smith will face questions by the Committee over his department’s use of statistics in June”. I am grateful to Jayne (and Debbie, who also got in touch) for providing this corrected information. It is disappointing that the officials who have been working on this matter did not see fit to keep the public informed about developments. I know many other people, besides myself, spent much of June on tenterhooks, waiting for the meeting – with Mr… Smith – to take place and wondering why it was taking so long. Apologies for the misinformation in my previous article – there was, of course, no intention to lead you all up the garden path (as the saying goes). He thinks he got away with it: Look at that smug smile. But Iain… Smith has committed contempt of Parliament. He admitted his guilt by failing to explain his actions to a Parliamentary committee and now he must be expelled from Westminster. Nothing less will suffice. We were all so thrilled at the time. After being outed as a liar by some of our favourite blogs, and after more than 100,000 people signed a petition calling for him to be held to account, we heard that Iain Duncan Smith was to be called before Parliament’s Work and Pensions committee to account for the statistical falsehoods he has been spreading around Westminster and the UK like a new disease. Now we learn that he will not, after all, be appearing to give evidence before the committee on the production and release of DWP statistics, despite that meeting having been postponed from June until mid-July. The session, covering recent UK Statistics Authority investigations into complaints about benefit statistics and the DWP’s response, the quality and accessibility of the department’s statistics, its processes for preparing and releasing statistics, and its role in helping the media interpret those statistics, will instead question two civil servants. They are David Frazer, head of information, governance and security directorate at the DWP; and John Shields, director of communications at the DWP. And they are completely uninteresting. I can tell you what they’ll say right now. They’ll say they produced the statistics in good faith, all with warnings on them, telling ministers like the Secretary-in-a-State that they should not be misrepresented in certain ways (especially the ways he has misrepresented them). We know there is no evidence to support this claim. We also know that the DWP officials who provided the figures issued an explicit caution, that they were “not intended to show the additional numbers entering work as a direct result of the contact”. It is therefore pointless to interrogate the officials over the wrongdoing of the Secretary of State, or any other Conservative or Coalition MP who has bent the facts before the public. The no-show by the DWP’s head honcho will be a huge let-down, especially for the 100,332 people who signed disability activists Jayne Linney and Debbie Sayers’ petition for the Work and Pensions Committee to hold Iain Duncan Smith to account for his lies. It is now apparent that politicians think they can get away with it if they don’t bother to turn up and explain themselves. So let’s just put it to the Work and Pensions committee that it should forget about the meeting, which is now due to take place on July 10. Let’s all accept Iain Duncan Smith’s refusal to attend as what it is – an act of cowardice and an admission of guilt. If he won’t defend himself, then he must stand guilty of the offence. This brings us to the question of the penalty he should pay. I refer you to my article earlier this year, in which I quoted Parliamentary convention: “Apparently there is an offence, here in the UK, known as Contempt of Parliament. An MP is guilty of this if he or she deliberately misleads Parliament, and any MP accused of the offence may be suspended or expelled. He has made it clear that he will admit nothing. He won’t even bother to explain himself. There is now only one option available. It’s time he got the boot. 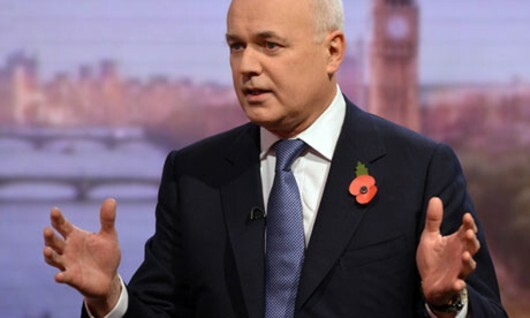 It’s a whopper: How big do you think Iain Duncan Smith’s next Parliamentary exaggeration of the truth will be? 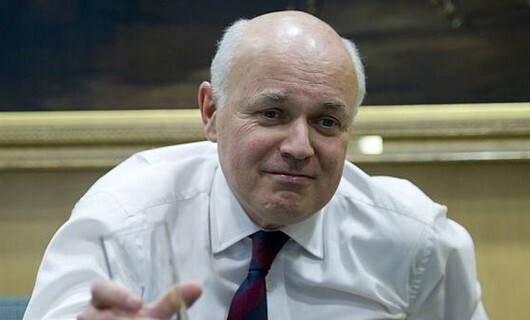 Why is Iain Duncan Smith still a member of Parliament? Apparently there is an offence, here in the UK, known as Contempt of Parliament. An MP is guilty of this if he or she deliberately misleads Parliament, and any MP accused of the offence may be suspended or expelled. Our odious Work and Pensions secretary is a repeat offender. It is one thing to be “economical with the truth”, as the euphemism goes; it is entirely different to present known falsehoods to the House of Commons as though they were accurate. There is no evidence to support the claim. This has been made clear by Andrew Dilnot, chair of the UK Statistics Authority, who said in an open letter yesterday (Thursday) that it was “unsupported by the official statistics published by the department”. He added that an explicit caution had made it clear that the statistics used by Smith to support his claim were “not intended to show the additional numbers entering work as a direct result of the contact”. In addition, figures released alongside the statement do not comply with the UK’s codes and practices on statistical releases, and concerns have been raised about the methodology and sourcing, along with possible advance sharing of the data with some – sympathetic? – media outlets. As an aside, it seems unlikely that Mr Dilnot realised, when he accepted his role at the statistics authority, that it would be such a high-profile role. How many people had even heard of it before the Tory-led Coalition government came into power? Precious few, one suspects. Yet it has now become a household name, due to the Tories’ continued and persistent use of faked statistics. They claimed the NHS budget was rising when it had fallen – and only yesterday we saw one consequence of this; the critical strain facing accident and emergency units. Remember, many hospitals are having their A&E units closed, adding to the strain on those that are left. Why is this happening, if not to save money? They also claimed – in a party political broadcast, no less – that the national debt was falling when in fact it has risen massively over the course of this Parliament. Smith is, as mentioned above, a repeat offender: He also stated recently that around a million people have been stuck on benefits for at least three of the last four years, “despite being judged capable of preparing or looking for work”. These figures were, of course, inaccurate – they included single mothers, the seriously ill, and people awaiting testing. Oxfam’s Katherine Trebeck, policy and advocacy manager for its UK poverty programme, said in The Mirror that this was “beyond the pale”. 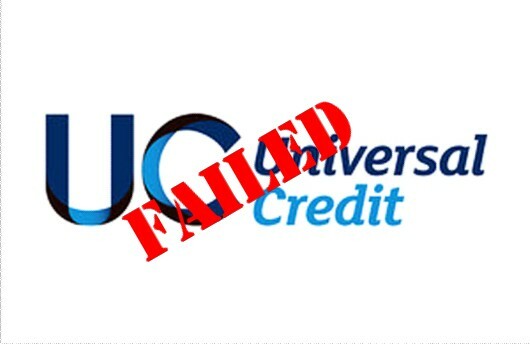 And the TUC’s general secretary, Frances O’Grady, said in The Guardian: “Only people with weak arguments need to make up statistics. Manipulation of statistics by the DWP and its secretary of state prompted Debbie Sayers and fellow blogger Jayne Linney – who has supported Vox Political articles many times – to launch a petition on the change.org website, calling on Parliament’s Work and Pensions Committee to hold Smith to account for his habitual offences against government statistics. The petition is here, and at the time of writing has more than 76,500 signatures. Please sign it if you haven’t already done so. … or he must be expelled from Parliament like the disgrace that he is.